I can never forget the intense sparring sessions that took place between Errol Spence Jr. and Floyd Mayweather years back. Spence, somewhat of an unknown prospect at the time, gave Mayweather great work ahead of his May 2013 bout with Robert Guerrero. 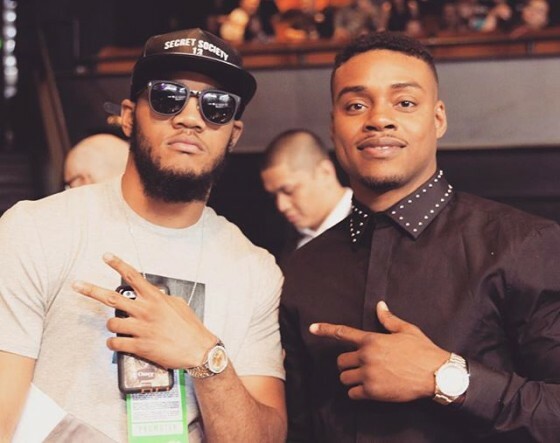 Now 20-0 with 17 knockouts following an April 16 fifth round TKO victory over Chris Algieri, Spence was in Las Vegas this past weekend for the Showtime triple header at the Cosmopolitan. The event was headlined by Erislandy Lara edging Vanes Martirosyan in their rematch. I spoke with Spence at the weigh-in on Friday and asked him his thoughts on Mayweather possibly returning for a 50th match. Spence continued, making it clear who he would and wouldn’t like to see “TBE” face at this point. Check below for more from Spence, including why McGregor doesn’t make the cut.